Wayne, Pa. (February 23, 2018) —The latest in rigid and flexible packaging materials for medical devices will be exhibited by Tekni-Films, a Tekni-Plex business, at HealthPack, March 6-8, Kansas City Marriott Downtown, Kansas City, in Booth 33. 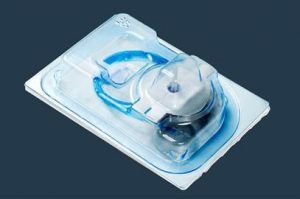 Tekni-Films will be discussing its TekniMD® PX copolyester film series with grades that provide a cost-effective alternative to PETG for thermoformed medical tray packaging. The company also offers a laminated alternative to PVC/Aclar® for thermoformed pharmaceutical blister applications. Tekni-Films also will be displaying its ultra-high barrier PVDC coating and a wide variety of other multilayer packaging structures that deliver the stringent oxygen and water vapor barrier properties necessary to protect pharmaceutical and medical device products. For those looking to find alternatives for Barex® materials, Tekni-Films has also developed an extensive line of high barrier structures that are available globally. The business unit has multiple thermoformable blister/tray film structures, heat-sealable pouch/lidding options, and the ability to manufacture customizable structures. Materials include COC/EVOH laminations, COC/EVOH/PP coextrusions and PX/EVOH/Aclar® laminations.